File 1-0295 - Home for Mr. & Mrs. F.N. Hillier, Lot #10, Block 2, Sec 4, Map 931, Empire St, Victoria, B.C. 2 architectural drawings : blueprint ; 45 x 74 cm. 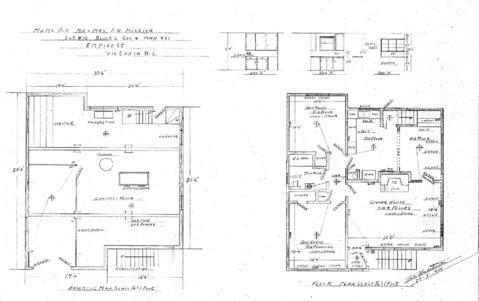 Consists of architectural plans for building at 2571 Empire Street. Builder: J.H. and E. Hutchinson.